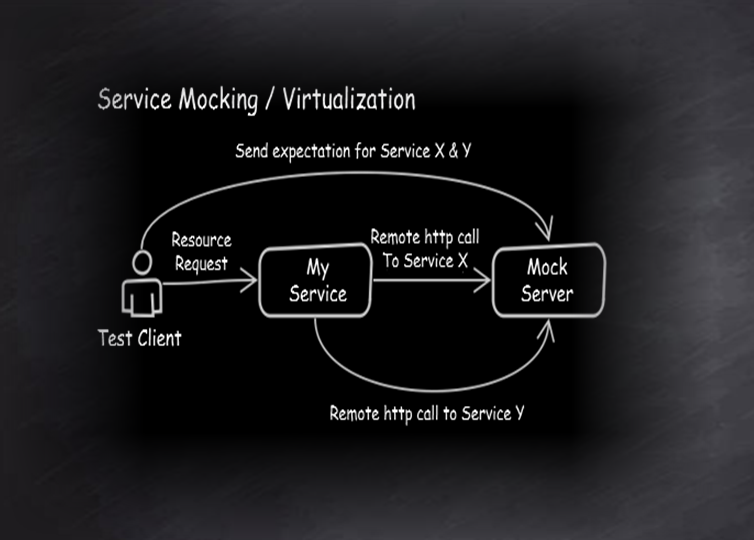 Service virtualization is an evolution of methods like "mocking" and "stubbing." These techniques allow you to replace dependencies in test environments, enabling teams to keep testing their software without the constraints created by services out of their control. It's fairly common to rely on external resources that are expensive to use and/or not available to every developer. Some teams try to work around these limitations by writing their own mock code. Simulating a few interactions might get them results in the short term, but it’s unproductive to keep this effort isolated. An alternative is service virtualization, which allows teams across your organization to use the same simulated dependencies effectively. In this post, I’ll talk about the benefits of service virtualization and highlight how having a clear process, consistent governance, and operation standards are vital to implementing a platform like this. What Are the Benefits of Service Virtualization? When testing in the early phases of your development cycle, developers often don't have access to all the necessary systems that will make software testing fully representative. Reasons may vary, but common examples include systems on legacy platforms, prohibitive licensing costs, and systems that generate financial transactions or cost money each time they’re queried. This kind of constraint creates bottlenecks, forcing your teams to wait if they want to access resources. Service virtualization will enable them to replace dependencies with components and data that reliably resemble the production site. When Should We Use Service Virtualization? Teams that have restricted access to service dependencies tend to produce code with lower test coverage. In many cases, these teams delay most of their testing until later development phases. But fixing bugs in the later stages of the development process is more expensive, not to mention frustrating for developers. By using service virtualization as early as possible in your development process, you're enabling your teams to increase their capacity to fix bugs that would show up only in a production environment. This is more efficient, and it gets you closer to achieving true DevOps. How Do We Implement It? Once you’ve picked a certain framework or tool for service virtualization, select a service with a high rate of interaction problems. Figure out your best candidate for "problematic service dependency." Record enough data to replicate this component, set up a virtualized service, and configure your code to interact with it. In order to standardize the use of this new resource, there should be a unique source of truth where you store (and can later find) your virtualized service specifications. One common option is a version control repository like Git. Having this source of truth will help you increase adoption among other development teams. As soon as other people start reaping the benefits, they’ll be interested in virtualizing other troublesome service dependencies. You should also create guidelines to help teams follow standards and conventions. If your organization is implementing service virtualization through an open source framework, you’ll have to enforce standardization yourself; your virtualized services should follow a common set of rules so they’re reusable across teams. How Do We Keep a Virtualized Service Close to the Real Thing? "Recording sessions" is a common method of service virtualization. It facilitates the process of capturing data that can be later used to simulate inputs to client services. The whole purpose is to reply to requests made by your tested code with representative samples of data. There are other non-functional requirements you could validate, like simulating network instability or unusual response times. This is valuable for developers of mobile applications who can't assume their client application is going to enjoy a stable connection at all times. Last but not least, persuade people to have their virtualized services automated and continuously tested. Service virtualization will be effective only when it closely represents how data is actually served in production. In order to keep up with external changes, it's critical to have automatic and reproducible processes. If you start to slack on testing, your virtualized services will become obstacles. Whose Work Is All This? I've seen software shops where every possible form of testing is sent to a quality assurance (QA) team. I'm not a supporter of this method. Developers. Because of their familiarity with your business codebase, developers can quickly reason how each service interaction will affect program behavior. Operators. They can quickly map how interactions may turn into failure scenarios under real-world conditions. Even if your organization has transitioned to DevOps, operators usually control firewall restrictions and endpoint configurations that are necessary for implementing service virtualization. Testers (QA). They are deeply involved with reproducing conditions that might occur when your end users operate your software. Testers also serve as an active audience in the integration process, which gives them a holistic understanding of your service interactions. Test Environment Managers. To ensure these "Virtual Systems" are properly advertised, provisioned, configured and shared/coordinated across the consumers (Test Teams & Projects). Wait, Isn't This More Work? A group of early adopters may absorb additional work in the initial phases of service virtualization. But they'll learn and document processes that other teams can then include in their development cycles, which will improve efficiency overall. Make sure to raise awareness of your initial scope to avoid frustration caused by unmet expectations. Transparency and clear goals are very important. Any decision to implement a new tool should be made within the boundaries of your budget; that's why it's vital to know what dependencies are worth simulating. Locating bottlenecks in your development cycle is the first step. Then, evaluate how much your cycle could improve by using service virtualization and select a service you can quickly implement as a prototype. Consult your teams. Ask them for input on how to obfuscate data to avoid security issues, and be sure to involve the necessary stakeholders to provide the basic infrastructure. Emphasize the importance of putting all these pieces together through automatic and reproducible methods. Find metrics for lead times, time to market, or any other relevant measurements from your software development cycle in order to find spots where you can quickly improve. This will help your team create valuable impact in the short term. Project managers would rather assign long time-frames that might allow projects to finish ahead of schedule, rather than tight deadlines that might cause projects to push back their due dates. Pay attention to these patterns; you might detect hidden delays in processes like infrastructure deployment and testing reconfiguration. Look for these situations as opportunities to automate, standardize, and promote change.